The New York Jets have been one of the less fortunate teams in the NFL with regards to the injury bug. Six players went down with injuries on Friday night against the Atlanta Falcons, and another could be lost to a knee injury after Sunday’s practice. 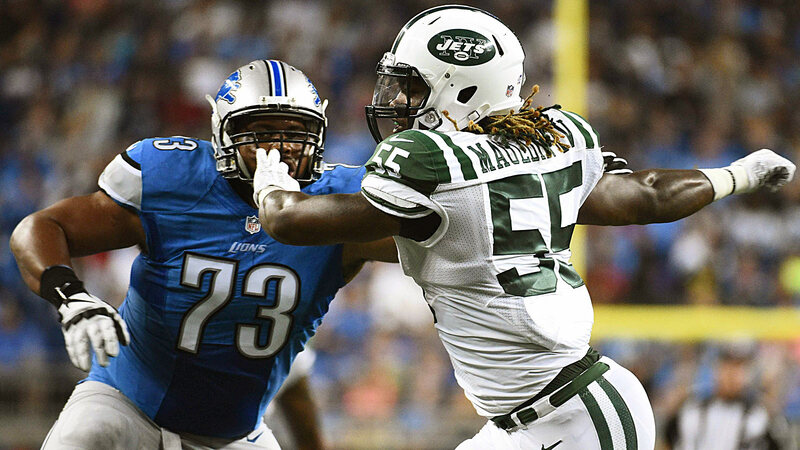 Rookie linebacker Lorenzo Mauldin left the practice field at Hofstra University on Sunday with a knee injury. Head coach Todd Bowles didn’t know how severe the injury was when it occurred, but an update should be provided at some point soon. Mauldin is the primary backup at outside linebacker behind Calvin Pace, but has been used as more of a situational pass rusher thus far. He’s presumed to be the heir apparent to Pace down the road, which makes this injury even more devastating. He has received some high praise from Bowles of late, specifically regarding his pass rushing ability. It’s not a huge season-altering injury for the Jets, but it’s not a good situation to say the least. Mauldin joins a list of injured players, which includes rookie wide receiver Devin Smith, Geno Smith, and Muhammad Wilkerson. Fortunately, Wilkerson returned to the practice field Sunday with the hopes of playing in the next preseason game.